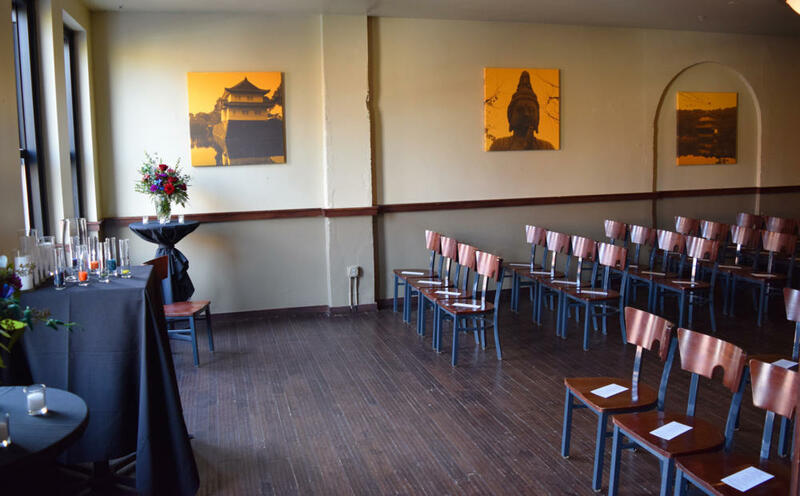 Our spacious (yet intimate!) 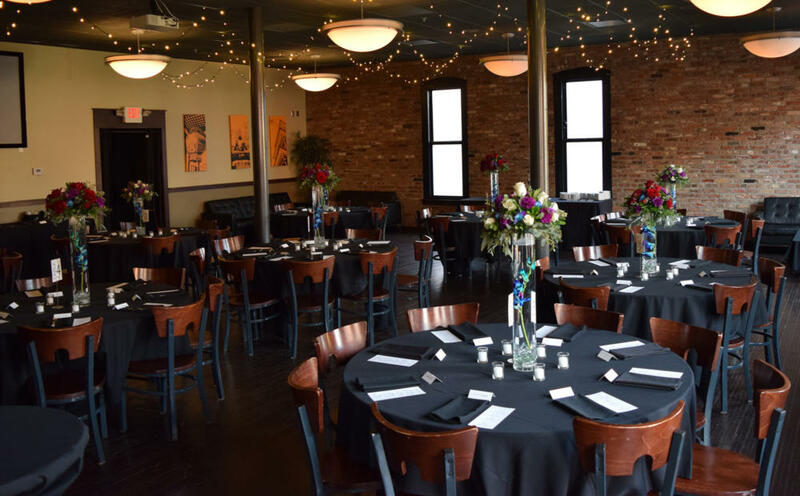 3rd floor Old Market Event Facility is Omaha's hidden gem when it comes to versatile banquet room options for throwing an awesome shindig. 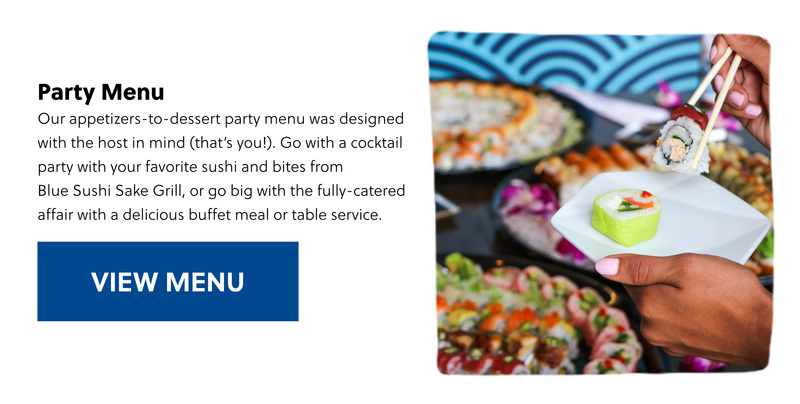 With available seating for 10-120 people, a private bar and catering by Flagship Restaurant Group, it's the perfect venue for a modern wedding reception, family gathering, milestone birthday party, graduation or corporate event where you can throw down, without having to literally throw too much down. 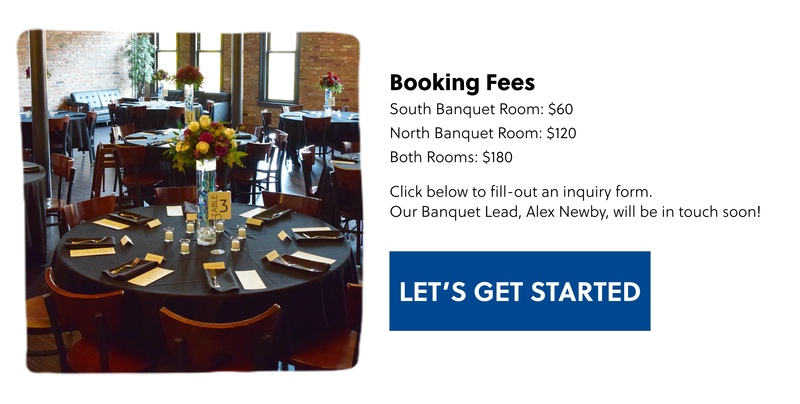 Our North Banquet Room easily accommodates up to 80 people, while the South Banquet Room can comfortably seat up to 32 guests—perfect for more intimate gatherings or it could be used as a staging room for your party in the North Banquet Room. 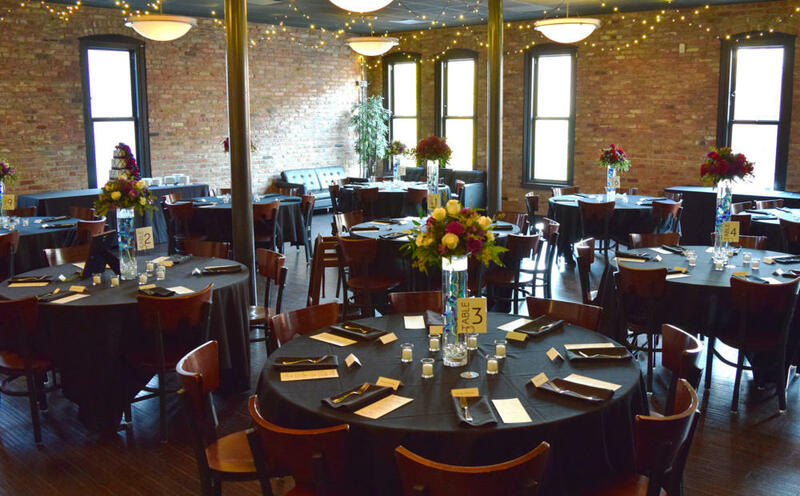 Together, both rooms can combine to accommodate your event of up to 120 guests.